Captain America has gone through a lot of changes through his film appearances in the Marvel Cinematic Universe, and his appearance in Avengers: Infinity War reflects the character's growth. 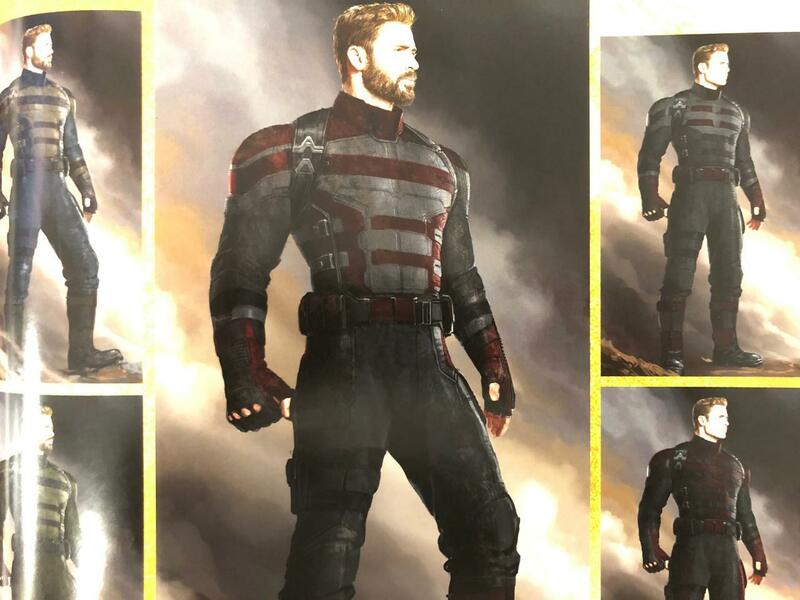 And though elements of Steve Rogers' Nomad personality and his time in the Secret Avengers were incorporated into the new design, there was a point when the filmmakers were considering giving him the U.S. Agent costume according to the new The Art of Avengers: Infinity War book, which you can purchase here. "The Secret Avengers look came about because him being more clandestine and not part of a larger group like the Avengers meant that he could be wearing more black," said Marvel Studios Head of Development Ryan Meinerding. "That's where the U.S. Agent stuff came out, too, where he could be wearing black and red, and seeing if there was any value in that." Meinerding also spoke about the option of giving Cap a more rugged look in Army fatigues, revealing why they ultimately decided to go away from that route. "The costume took a long time because I think Kevin [Feige, Marvel Studios President] was looking for ways of Cap still feeling iconic. He didn't want him stepping away from the super hero stuff for the whole movie. And if you put him in fatigues at the beginning of the movie, there's not really a reason for him to get out of them or change costumes at any point in the rest of the film. So we were searching for a while, including versions that were riffs on U.S. Agent and some things that were riffs on Nomad — subtle ones, but still trying to go there to see if there was something interesting to mine, as if he's almost taken on a different persona." All of this comes out of Rogers' conflict with Tony Stark, which drove the narrative of Captain America: Civil War. Avengers: Infinity War writers Christopher Markus and Stephen McFeely spoke about that film's importance in pushing their movie forward. "That is something we didn’t want to blow off," Markus said. "Didn’t want to devalue Civil War by having a phone call saying, “Let’s all get back together because there’s an even worse guy.” Nah, everything’s fine now. So we dragged that a long way through it so that we are valuing the resentments we’ve built up between these characters." Fans will see if Cap gets a new costume when Avengers 4 premieres in theaters on May 3, 2019.